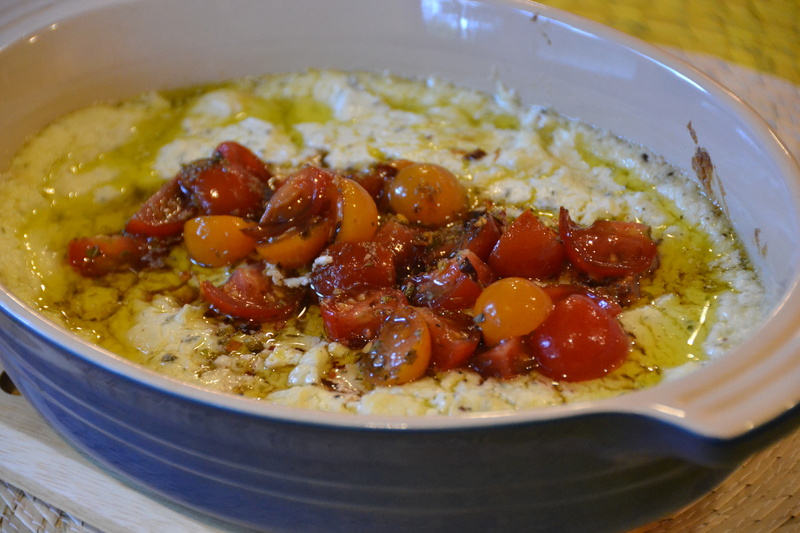 A recipe for Baked Goat Cheese in the October issue of Food Network magazine inspired me to make this dip last night for my book club. It’s very easy to put together and only needs to bake for 15-20 minutes before it’s ready to eat. I served it with crackers but it would be great with baguette slices, apples or crudités. I made this on Halloween for some friends – big hit! Thanks for the inspiration.